Hello Miranda and Parker fans! If you’ve been waiting for the next book in the Miranda and Parker Mystery series, I’ve got some good news. 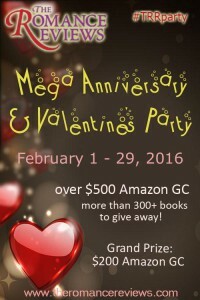 Kobo books are 50% OFF! Kobo is having a 50% OFF sale from now (June 25) until June 27, 2016 at 11:59 PM EST! U.S., Canada, Australia, New Zealand. Just enter promo code 50JUN when you check out (for me this was on the second page). For your convenience here are the links to all my books on Kobo. If you’ve been wanting to get more Miranda stories (or any of my other books), now’s the time to stock up. Happy reading at half price! 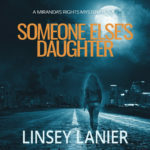 Note: If for some reason a link does not work, please navigate to your Kobo site and enter “Linsey Lanier” in the search box. 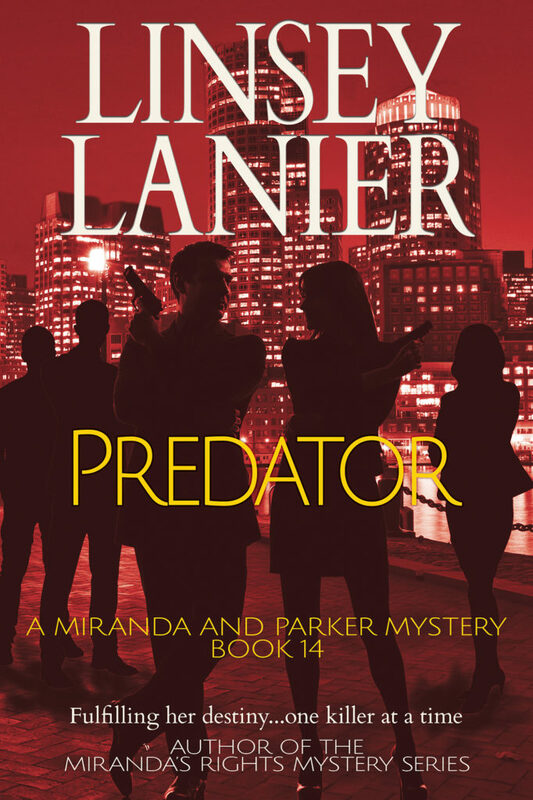 The latest Miranda and Parker mystery is out! After two weeks of a lazy second honeymoon with Parker, private investigator Miranda is startled when her husband gets a strange call on his cell phone. Not only does the eerie robotic message raise more questions than answers, it throws the pair into the investigation of a grisly murder, a tussle with a GBI agent, a secret branch of the FBI, and a frightening kidnapping. To top things off the team they were supposed to form is disgruntled with the management. The Boy is the eighth book in the Miranda and Parker Mystery series, a continuation of the popular Miranda Steele stories from bestselling author Linsey Lanier (the Miranda’s Rights Mystery series). Buy this chilling, fast-paced thriller for a story readers say they can’t put down. She risked another glance in her rearview mirror and caught the dark outline of the man behind the steering wheel of the black van. He was a large man. The van drew close and he looked straight at her. A shiver of nerves went through her. But then he’d probably seen her the first time she’d noticed him. Right after she’d exited the grocery store on Krog Street. She never should have left the house this afternoon, but they had run out of food and the only thing left was peanut butter. The boy was allergic to peanuts. It was a pretty little blue house off Irwin Street in the Old Fourth Ward of the city. The homes there were close together and the neighbors seemed friendly enough. Not that she had spoken to any of them. That was forbidden. There were children in the neighborhood and the boy longed to play with them. That was also forbidden. For three long days she’d attempted to keep him occupied with books and toys and video games. All the while she’d been waiting for word. What to do next? How would she know when it was safe again? And then the food supply got low. The light changed and she continued on Spring Street not knowing what else to do. She shouldn’t have left the house, she told herself again. She should have contacted someone for supplies. But the phone number she had was only for emergencies. She’d thought she could handle a simple trip to the grocery store. But somehow the man in the van had found her. She could handle this, she told herself again, straightening her shoulders with determination. She’d had training, after all. She’d done well in the exercises for losing a tail. But that had been two years ago and it had been just a drill. She’d never had to do it for real. How had he found her? Had he followed her from the house? If so, then the boy was in trouble. The thought filled her with a sinking feeling. No. She was positive no one had followed her from the house. This man had been cruising the streets looking for her. Had it been just her bad luck that he’d spotted her? That meant they knew what she looked like. If only she hadn’t left the boy alone in the house. Her resolve wavered and she shivered again. James would never have made such a silly mistake as to run out of supplies. But James was dead and she was here alone on the streets of downtown Atlanta, shaking all over with nerves. So far she’d followed protocol. As soon as she’d seen the van in the parking lot, she’d put the groceries in the trunk of the old gray Camry they’d given her and slipped into the driver’s seat as casually as she could. She’d headed in the opposite direction, away from the house and the quiet little neighborhood, and toward the highway. The van had followed her. She glanced down at her gauges. She’d gone about half a mile. She made a turn and got on the Interstate. She drove to the next exit then got back off, hoping that would confuse him. It didn’t work. The van was still behind her. She headed downtown, turning left then right through the mid-morning traffic. She made her way past the novelty shops, the hotels, the assorted tall bank buildings. Past Centennial Olympic Park and the World of Coca-Cola building and the Aquarium. She passed a half dozen other cars but the van was still behind her. Surely the driver knew she’d made him by now. He’d known that right away, hadn’t he? She headed back toward the interstate, but instead of getting on, this time she took the overpass and headed up West Peachtree. She drove past the hospital and bank buildings and more hotels. She glanced up at the approaching street sign. Third Street. She put on her signal, as if to turn right. The light turned yellow. She floored it and shot through the light—going straight. The van did the same. She couldn’t lose him. Again nerves made her hands shiver on the steering wheel. Oh, James. If only you hadn’t signed up for that last tour of duty. If only you had come home to me. If only you hadn’t died in that last raid in Afghanistan. She could have been at home right now, waiting for their own son to come home from school. Or rocking a new baby to sleep in her arms for naptime. But, no. These last two years in this job had taught her the needs of others had to come before her own. It was what James believed in. What they both believed in. What he’d died for. This was no time to wallow in the past. She could do this. She was trained to do this. She looked around to get her bearings again and formulate a plan. After another ten minutes, she turned onto Fourteenth and headed back toward the highway. The van was still behind her. If she couldn’t lose the tail, at least she could lead the man as far away from the boy as possible. She’d go to South Carolina if she had to. She glanced down at her gauges. She’d need gas for that and she’d just passed a station. Nothing was going her way. Wait a minute. Why not stop there? Go inside the store at the gas station and get help from someone. Anyone. That would make the man in the black van disappear. She made a right and headed around the block. She drove along the road fronting the Interstate and around the curve to the next light. It turned red and she stopped. She let out a breath. It would be okay. She was going to get help. Then she remembered the edict never to involve civilians. She’d just strike up a conversation with a stranger. That ought to be enough. What if it wasn’t? She had her secure cell phone. There was the one number she could call. She glanced down at her small pocket book lying on the passenger seat beside her. In addition to her fake IDs, it had a secret compartment. Inside the compartment was a tiny vial. Inside the vial was a tiny pill. No going back after that. She squeezed the steering wheel and stared up at the light. The jolt threw her forward, knocking her forehead against the steering wheel. Heart pounding, she glared into the rearview mirror. The black van had rammed the back of her car. The man inside it was getting out. He must have sensed where she was going so he’d faked an accident. He was big and bulky and dressed all in black. His bald head was tattooed with a frightening black spiral-and-spike design. She couldn’t let him get near her. She put the car in park, grabbed her pocketbook, scooted across the front seat and got out on the passenger side. She rushed onto the sidewalk and ran as fast as she could. The street she was on was nearly deserted. She was about a block from the gas station but it was a long block. She might as well be a mile away. A car rolled by. She wanted to flag it down. No civilians. She hesitated too long and it was gone. Someone would report the accident, wouldn’t they? A police car could be along any minute, right? She glanced behind her. The man was following her. She hurried down the walkway. The cement was broken in spots. This wasn’t the best cared for section of town. A row of overgrown holly bushes and maple trees lined one side of the walk. The city was known for its tree canopy. Could it provide a hiding place? She pulled her lightweight sweater around her feeling chilly despite the warm fall day. It was in the mid seventies. The sky was clear. People should be out walking. But no one was on this road. Could she make it to the gas station? It was too far away. She needed a hiding place. Across the street stood a tall office building. It was vacant. A parking garage sat next to it. Between the two structures stretched a dark narrow space. Too risky to go in there. She could hear the man panting behind her and knew she didn’t have much time. If she didn’t find a way to escape soon he would catch up to her. She didn’t have a lot of details but she knew the type of organization he was with. She could only imagine what they’d do to her to find out where the boy was. She thought of the pill inside her purse. As she hurried along, she opened it and reached inside. It was the cell her fingers touched first. Emergency contact. If this wasn’t an emergency, she didn’t know what was. Quickly, she keyed in the special code she’d memorized when she took this assignment and pressed send. With a sinking sensation, she knew it wouldn’t get to anyone in time to help her. But maybe that message could save the boy. Suddenly, the hedges along the sidewalk opened revealing a narrow paved road. Beyond a low hill rose the back of two billboards. The Interstate. There were cars there. She could hear them buzzing along. There was always traffic on the interstates in this town. If she just could get there, she could run out into the road. If she were hit head on, she’d be better off. But she’d be sure to get someone’s attention. She ducked through the bushes and ran. On the other side was nothing but an empty parking lot. One lone pickup truck sat in the grass beside the pavement. The building beyond the foliage was deserted as well. But the man was still behind her. She could hear his steps getting closer, clopping over the asphalt like a Clydesdale’s hooves. She raced across the lot as fast as she could, wishing she’d worn running shoes instead of flats. Jeans instead of a skirt. If only she could make it to the road. But the clopping grew louder. Closer. Desperation tearing at her, once more she opened her pocket book, struggling with it as she hurried along. She found the secret compartment. Her fingers maneuvered the tiny vial into her palm. Large strong hands gripped her shoulders. She dropped her purse and tried to kick out as she spun around. She connected with his shin but he didn’t even feel it. He was so huge. Big shouldered. Strong as three men. He squeezed her arms, forcing her to look at him as if he wanted her to see him. Big and knobby, weathered skin like old leather. Shaved head. The twisted tattoo climbing up the side of his neck. The smell of liquor on his breath. The face of a man with many gruesome murders behind him. What was one more? Panic pummeled her brain. She couldn’t think. The pill. It was her only hope. She raised her hand to her mouth, but he gave her a brutal shake. The vial flew out of her hand and smashed on the concrete. The man laughed. “You are not getting off that easy, little one,” he whispered in a strange, frightening accent. And then he put a big hand around her neck and began to squeeze. The arterial nerve. A strong person can make you pass out by pressing in the right spot. She’d learned that in training, too. She tried to fight but it was no use. The traffic sounds on the interstate faded into a low whir. Stars began to whirl in her brain. The trees and buildings around her dimmed and went black. As she went slack into the big man’s arms, all she could hope for was that her last message had saved the boy.